Historians believe that the practice of New Year resolutions originated in the Babylonian Kingdom, over 3,000 years ago. New Year intuitively brings time for pause, reflection and setting intentions for the year, and for many, that can centre on resetting what they eat, especially after indulging over the holidays. 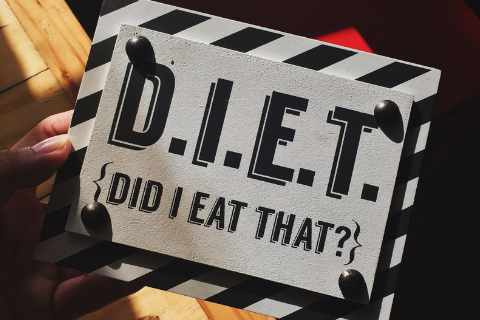 In their annual round-up of the more bizarre fad diets for 2019, the BDA have suggested that the blood type diet, drinking your own pee (yes, really), detox teas/skinny coffee, slimming sachets and alkaline water, are some of the more bizarre regimes they’re coming up against. Here’s a look at what else is hot in the wellness space, with some links to relevant, recent research that may help you in your daily communications or practice. One thing that has remained popular as we come into the New Year, has been the idea of fasting and this month, Jurassic World actor Chris Pratt, announced to his 22.2 million followers that he’s doing the Daniel Fast. If you haven’t heard of it, the Daniel Fast was created over a decade ago by Susan Gregory, according to the website, a ‘lay minister, businesswoman, coach for Christian living and wannabe techie’ and is a 21-day period of prayer and partial fasting practised by some Christians, based on the experience of the Prophet Daniel’s and Jewish fasting principles. According to the website, the permitted foods centre around vegan options, with some additional restrictions including all sweeteners (non-nutritive and nutritive), processed foods and solid fats. Elsewhere and currently number 2 on Amazon.co.uk’s bestseller list for diet books, is Michael Mosley’s ‘The Fast 800’ (in fact it appears twice in the top-10 as a hardback and paperback). His latest offering since the popular 5:2 diet and 8-week Blood Sugar Diet (also still in the top-20), which centres on intermittent fasting/‘time-restricted eating’, is a low-carb, Mediterranean-style diet, based on only 800 calories. Being low-carb, high fat, the ‘traditional’ Keto Diet may jar against principles of plant-based eating, with new research in The Lancet reaffirming the importance of fibre (from vegetables and wholegrains) in the diet. Keto fans looking for a vegan or vegetarian version of the diet may instead opt for the plant-based version; dubbed ketotarianism, reminiscent of the pegan (paleo-vegan) that was also popular in 2018. The Times has also just published an interesting article (which is unfortunately behind a paywall) which to sum up, provides (rather alarming) insight into what’s on the cards for ‘wellness revolutionaries’ in 2019; citing pink coconut water, quartz crystals, salt lamps, MCT oil, edible coffee bars and tongue-scraping, amongst other endeavours, all seemingly in the pursuit of health. 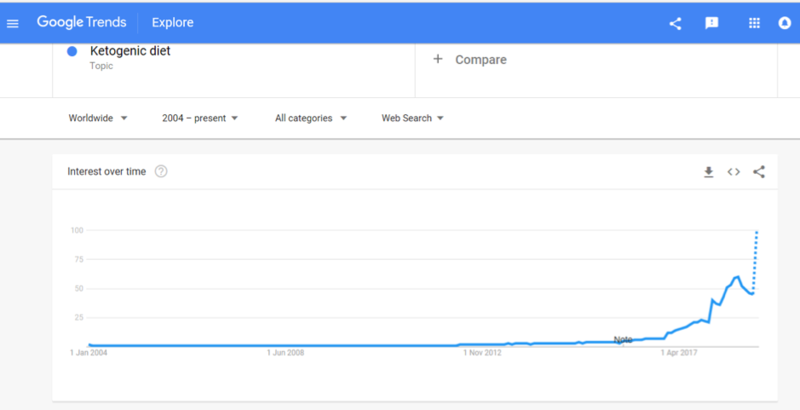 On the other hand, continuing to get good traction is the interest in digestive health and the microbiome, and plant-based eating, with Pinterest’s list of 100 emerging trends for 2019, reporting that searches for oat milk increased in popularity by 186% last year. It is probably unfair to drop all these increasingly popular approaches into a fad bucket. Some, such as intermittent fasting, have a promising and growing evidence to their name and others may have snippets of beneficial principles in them, such as being plant-based, Mediterranean-style eating or with a focus on minimally processed foods. Others, however, lack any credibly with regards to the claims they are making; often having inflated what is otherwise an incomplete evidence-base or simply just making things up. In this era of ‘nutrition folk wisdom’, now more than ever is expertise needed from qualified dietitians and nutrition professionals to make sense of what is becoming an increasingly confusing dietary minefield.